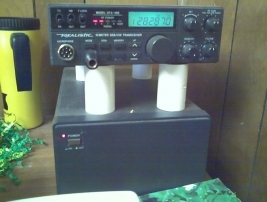 The WI6J beacon has been heard from all over, please let me know if you copy it.I have beacon QSL cards. 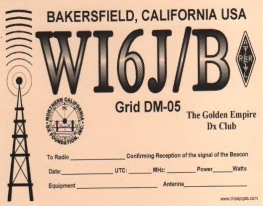 The WI6J 10 Meter Beacon is located in West Bakersfield , Ca in DM05 on 28.287MHZ. The Beacon consists of a Radio Shack HTX-100 and a Id-Omatic board for keying the CW message. 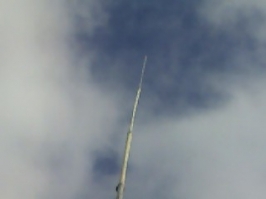 The antenna is a Antron A-99 at 43', the beacon transmits at 15 WPM with 5 watts out.